With one of the longest, most dynamic coastlines in the world, surf in WA is world renowned. Find the Top Spots in my Surfing in Western Australia Guide. Surfing in Western Australia is a must-do for pros and beginners alike, because it’s right here you’ll catch some of the most consistent, top quality reef breaks, beach breaks and point breaks in the world. I’ll admit to you right now – I’m terrible at surfing, but I love giving it a try in my beautiful home state of Western Australia, and I encourage beginners to do the same. 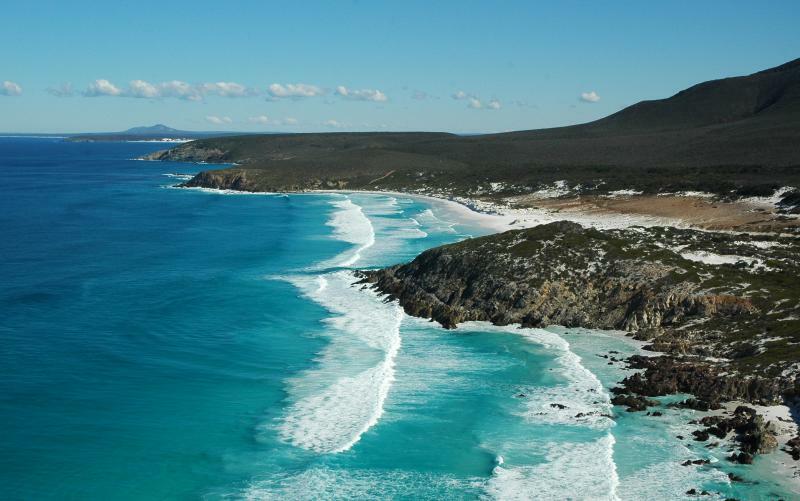 Western Australia boasts one of the longest, most pristine coastlines in the world. Measuring approximately 12,889 km, it stretches all the way from the hot dry temperatures up north in The Kimberleys to down south’s cold and windy southern ocean – offering surfers of all skill levels varying surf conditions and environments to suit their skills and limits. And add to that plenty of bays, coves, reefy areas, and more – and you really are spoiled for choice when it comes to surfing in Western Australia. The great thing about surfing in Western Australia though, is you don’t have to travel far out of Perth to get to a great spot. Perth itself is fortunate to experience a strong, daily sea breeze (on top of amazing beaches and beautiful weather) and it’s this sea breeze that makes Perth and the WA coastline to the north such a popular destination for wind surfing, kite surfing, and any other water sport activity you can think of. 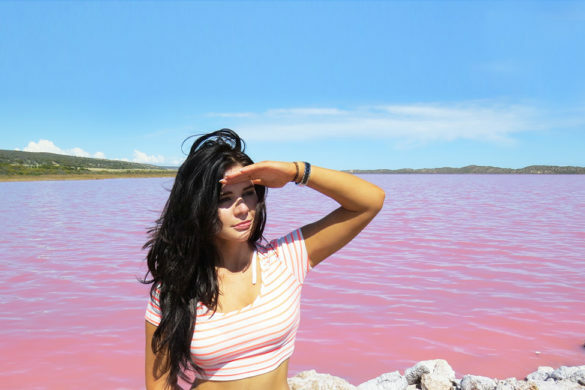 If you’re advanced, you may go down south to popular destinations like Margaret River, or if you’re still learning – you might go to Lancelin. And if you don’t feel like a road trip, you might just head up to the local Trigg Beach to catch some decent sized metropolitan waves. Yep, that’s the great thing about Perth – the coastline is pretty good here. Waiting for the perfect wave? 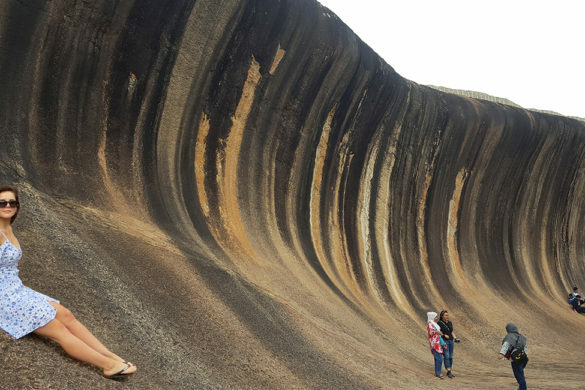 Maybe you’ll find a froth-worthy wave at one of the below top surfing spots in Western Australia.
? ?TOP SURFING SPOTS IN WESTERN AUSTRALIA? I’ve surfed the net (mind the pun) for research, and interviewed some gnarly mates of mine to give you the lowdown on where the best surfing locations are in Western Australia. Use the below recommendations as a basic guide, because let’s be honest here – the real pro’s will never give up their secret surfing spots. And so they shouldn’t. Seeking out awesome surf spots will reward you with experiences of a lifetime, but remember that as good as they are, it’s never worth your life. 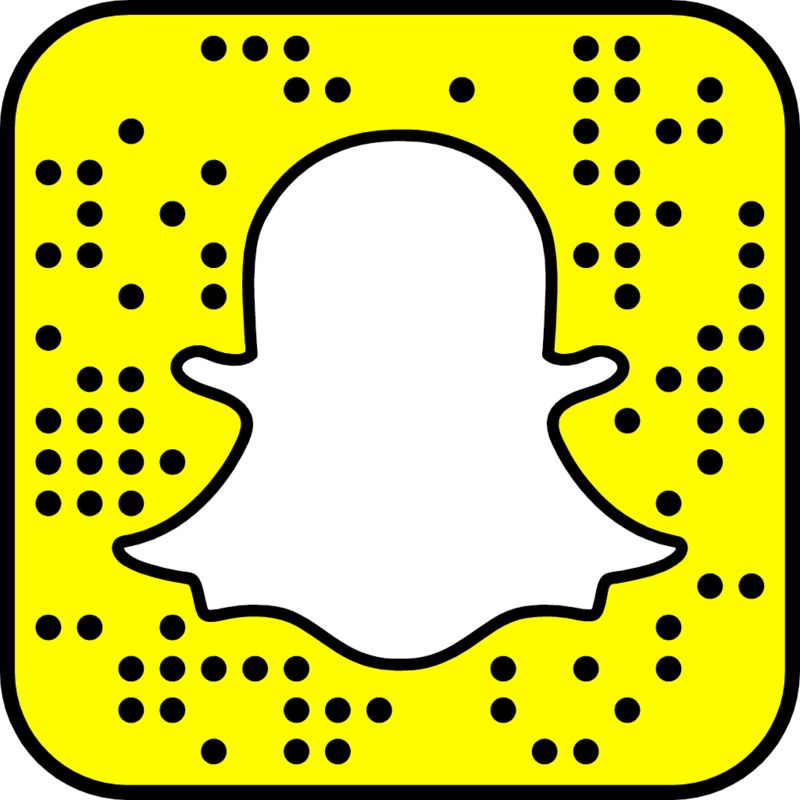 Please be safe, check weather conditions, have the proper equipment, know your limits, know what rules apply and if you can help it – don’t surf alone. Enjoy surfing with your mates then have a well deserved Victoria Bitter Beer (or wine) afterwards! 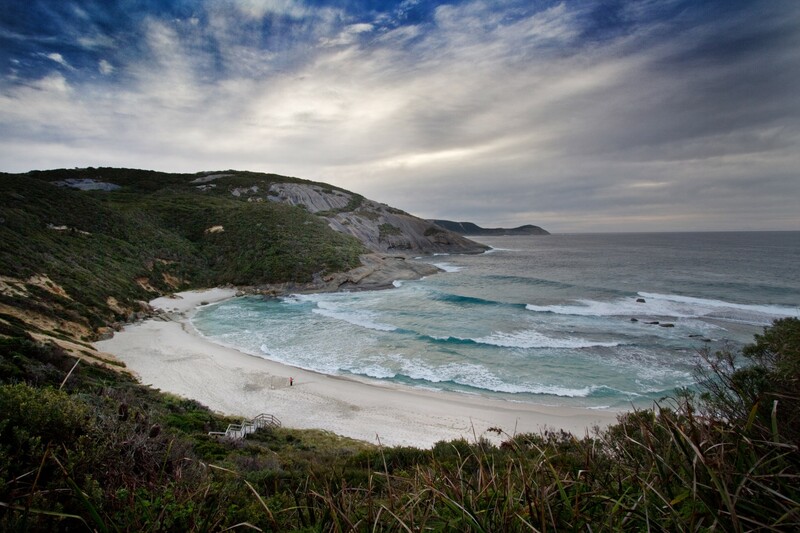 When it comes to Surfing in Western Australia, Albany is on the top of many lists. Photography: Barry Epstein Fine Art Photography. 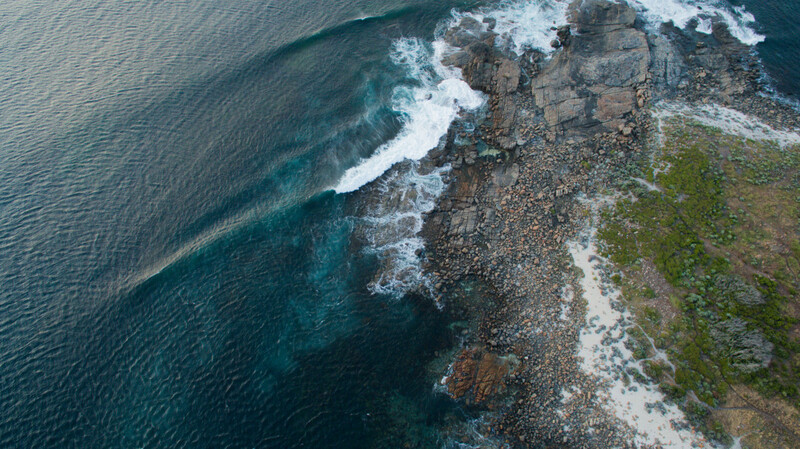 Mixing Albany and Denmark is a popular froth-worthy roadtrip itinerary for many surfers. For beginners, right in the city of Albany at Middleton Beach is a great spot to practice surfing during big swells, as its a sheltered beach with gentle waves. Head north up the beach there for bigger waves if the surf is tiny at the south end of the beach. If the surf is flat along the entire beach, check out more exposed and isolated beaches to the east of town. James Price Point, near Broome, is a unique surfing area. Pindanpost. 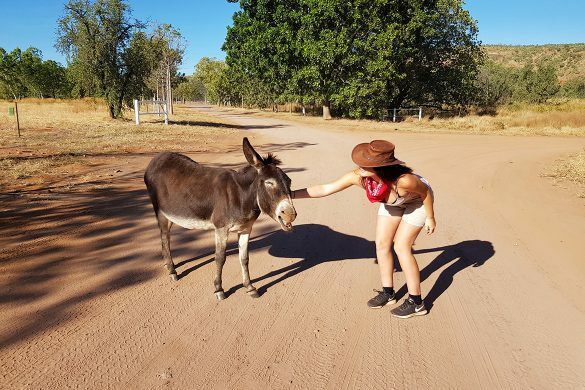 Located in the far north-west of WA, Broome is a small pearling town that gets 4-5 foot or 6-8 (as the locals call it) and barrelling a few times a year from tropical cyclone swells. In Broome, the continental shelf is a long way out, and that’s why they don’t get the swell up there. What actually causes the swells up there in the wet season (which is roughly October to March) is generally the cyclones. Cable Beach in Broome deserves its reputation as one of the world’s top beaches – it has soft clean white sand, low easy surf, warm water and a long warm dry season to enjoy it all. Boards can be rented in town at any one of the surfing joints. Surfing at Bunbury’s Back Beach. Watch Video here to go to yahoo. Bunbury, or ‘Bunno’ as the locals affectionately call it, is not usually thought of as a great surf town but it actually is! What you get mostly in Bunbury is shore break close outs or flat, but if you know where and when to be, it can be great fun. Get to Binningup all the way to the locally protected Capel Cut for great waves. Bunbury’s Back Beach is very long and the waves are endless fun. And with Yallingup only an hour away, you can always head further south to chase more waves. 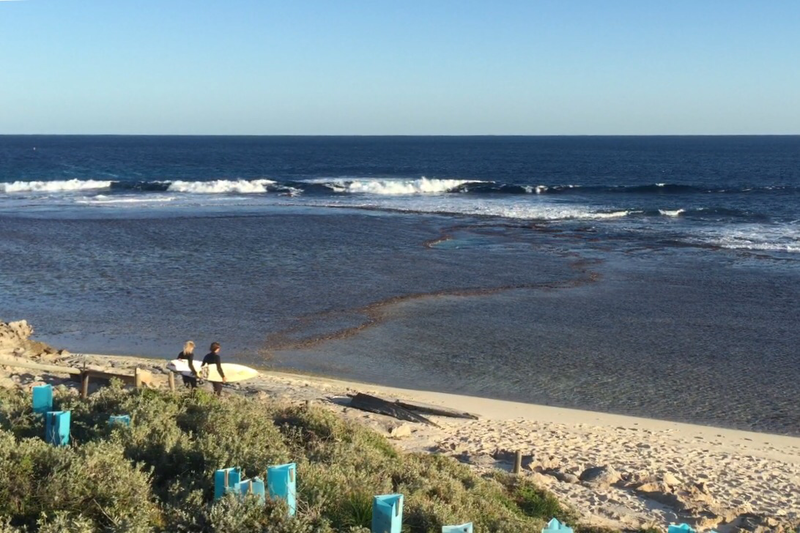 Looking over Gnaraloo Beach in Carnarvon, a popular region for sports fishing out to Abrolhos Islands. Source: SwellNet to go to yahoo. 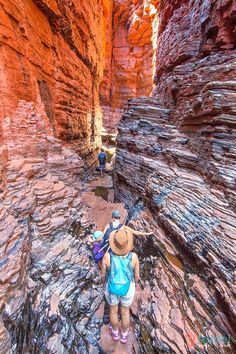 Carnarvon is a coastal town 900km north of Perth, lying at the mouth of Gascoyne River on the Indian Ocean. It’s extremely popular for sports fishing. The popular Shark Bay world heritage area lies to the south of the town, and the Ningaloo Reef and tourist town of Exmouth lie to the north. 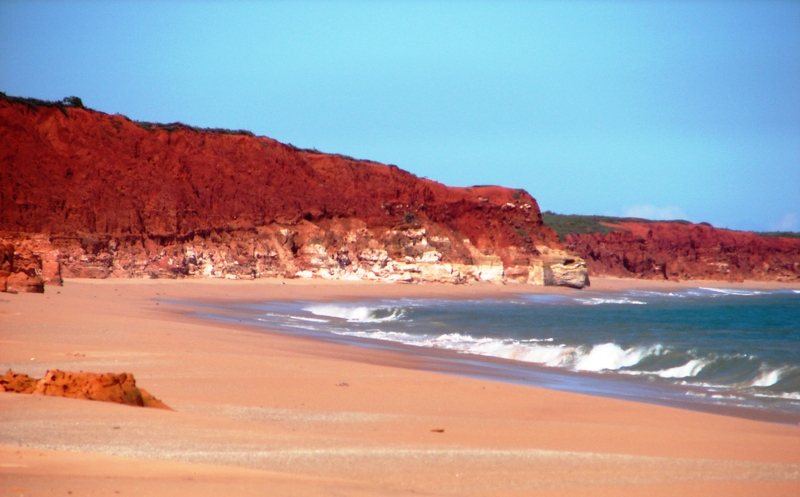 There are world class waves along Gnaraloo’s section of the west coast, which is a 150km drive north of Carnarvon. Gnaraloo is an exposed reef break that has dependable surf, with winter being the optimum time of the year to surf there. Exmouth is part of the Ningaloo Coast, which boasts the best swells around July – October, so grab your board, head north and catch a wave. 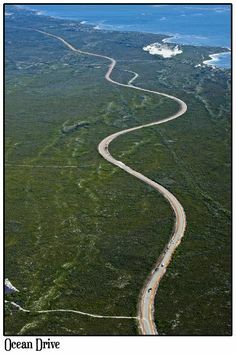 Aerial Photography of Denmark, Western Australia. By Birdseye View Aerial Photography. Where the towing ancient Karri forest trees meet the white sandy beaches. Ocean Beach in Denmark is one of the best places to learn the basics of surfing with its long, rolling waves. William Bay National Park is a highlight too. Denmark has a wide range of visitor and holiday accommodation, along with also many awesome activities and attractions for young and old to do. Denmark is definitely on my Must-Visit List for next year! 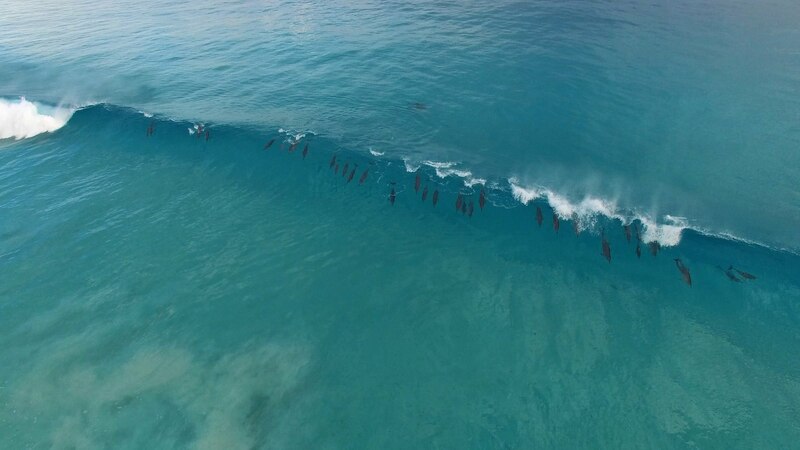 Large Dolphin pod surfing the waves at West Beach in Esperance, Western Australia. Watch Full Video. Squeaky-clean beaches, turquoise waters, untouched islands and wildflower country awaits you in Esperance, which is a one and a half hour flight or an eight hour drive south-east from Perth. 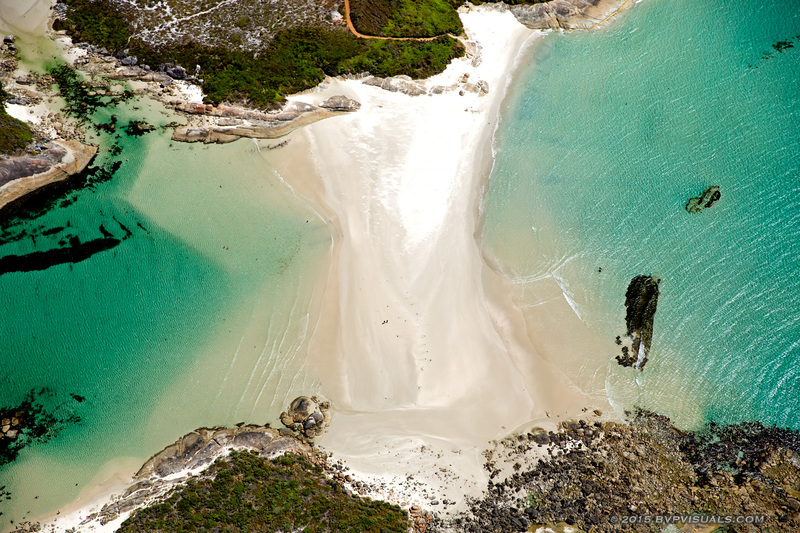 It’s got Australia’s whitest beach, Lucky Bay – set against a seascape of 110 islands of the Recherche Archipelago, where even the Kangaroos can’t resist lounging here. Blue Haven Beach and Twilight Cove are great for snorkelling. For waves, hit the surf at West Beach, Fourth Beach or Observatory Beach. Esperance is also a fantastic area for reef breaks. 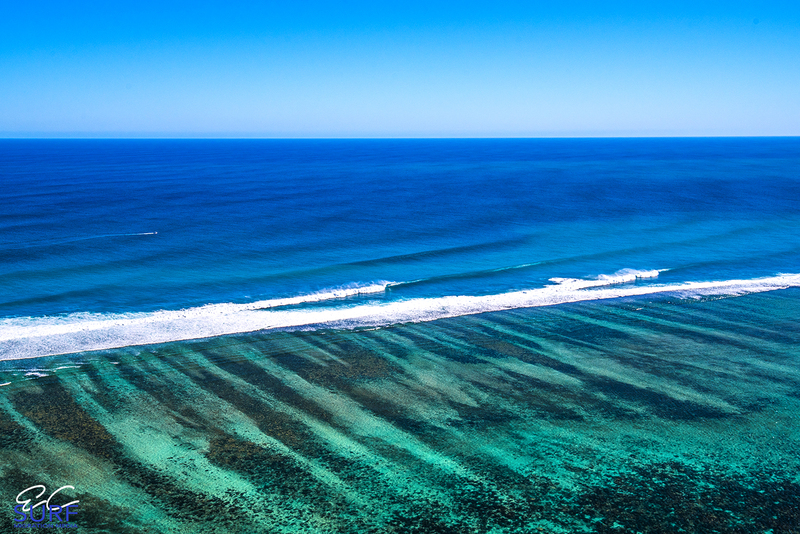 Exmouth is part of WA’s best kept surfing secret – the heritage listed Ningaloo Coast. You’ve got quite a few options there like the very surf popular Dunes (Surfers Beach), which is located 17km from Exmouth. It boasts a reef break that is safe and easy to access. Others are The Bommie, which is best suited for advanced surfers and Wobiri Access Beach (25km from Exmouth) that has a surf break great for beginners and grommets. They hold winter season surf lessons there and surf charters are available. 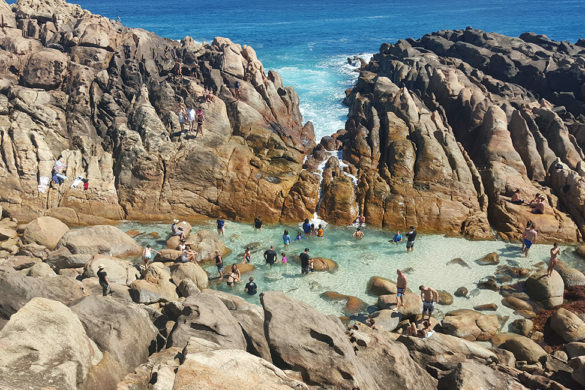 Fitzgerald River National Park is a botanical wonderland and surfers paradise. DPAW. 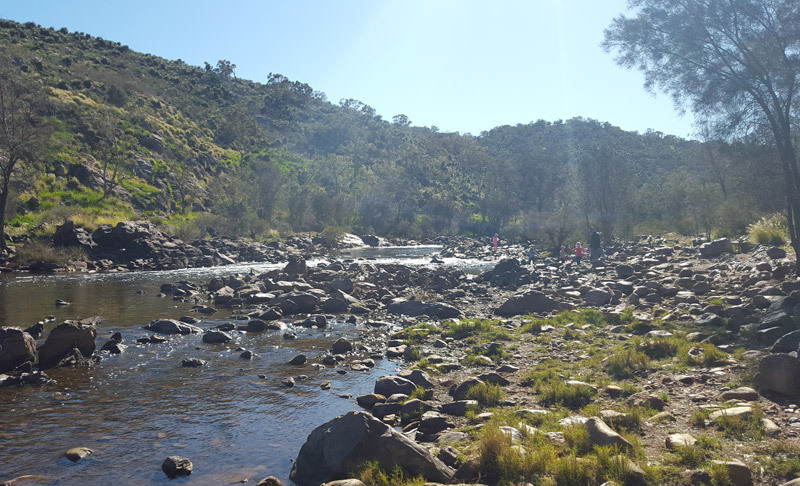 Fitzgerald River National Park is one of the largest and most botanically significant national parks in Australia, because within the park are nearly 20% of WA’s own flora species, many of which occur just within its boundaries. The park features a variety of landscapes to explore from rolling plains, colourful breakaways, rugged peaks and headlands to bays and inlets. With campgrounds located on the western side at St Mary Inlet (near Point Ann) and on the eastern side of the park at Four Mile Campground, you could set up a tent and go surfing nearby. 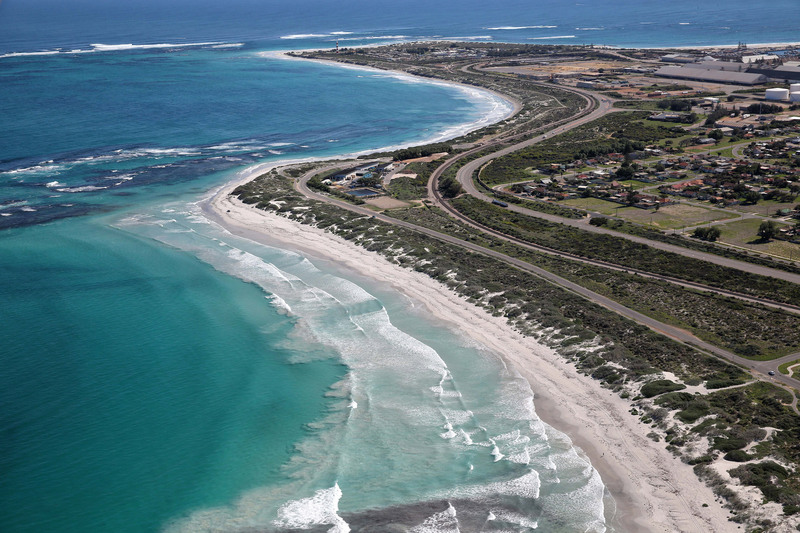 Geraldton’s coastline. Source:Surfing Australia to go to yahoo. Geraldton is one regional city that is not to be overlooked – it’s up there as one of the best surfing, kite surfing, windsurfing, diving, snorkelling, boating and fishing destinations in Australia. 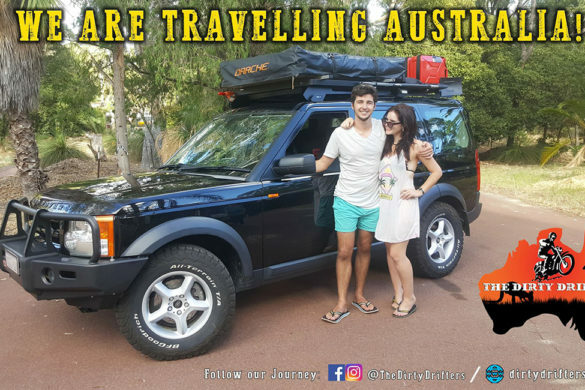 Located on the Batavia Coast, 419km north of Perth – it will take you five hours to get there, or fly direct from Perth in an hour. Or in Summer, you could arrive in style by Cruise Ship. People come here for Geraldton’s consistent wind and swell which makes it a watersports haven, and with coral-fringed Abrolhos Islands just 60km from the shoreline, its a diving and sports fishing hotspot. 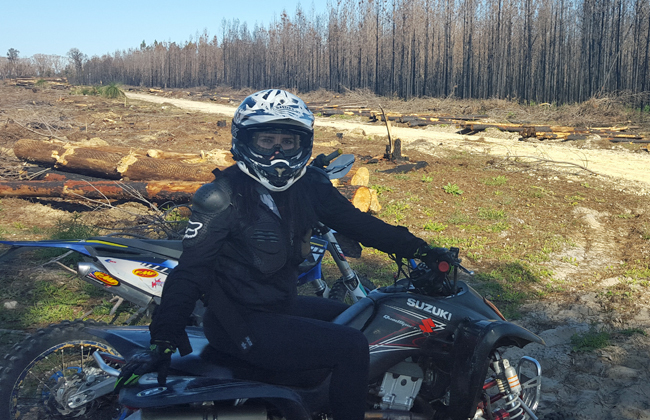 Geraldton really is worth the drive – make it a mini road trip adventure! Gracetown is a small settlement tucked away on a hillslope above Cowaramup Bay, boasting sweeping ocean views. 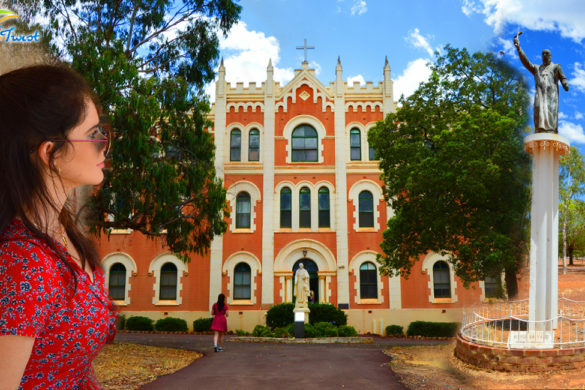 It’s located half way down the Cape-to-Cape Coast, in the heart of the Margaret River region. The town has fantastic charm and character, you’ll see a mixture of old fibro beach shacks from the 1960’s here among contemporary designs built to enjoy the ocean views. Much of the town is also made up of holiday homes, because Gracetown is really famous for its surf breaks. Each of the two headlands that frame Cowaramup bay deflect the waves rolling in from the open ocean, forming point breaks, and further into the middle of off South Point is a gentler reef break known as Huzzas, which is great for beginner surfers. A few km up the coast from North Point is a famous sport called Cow Bombie offering some of the biggest surfable waves in Australia, and if you’re in a 4WD – check out some nearby reef breaks accessible by 4WD tracks in the area. 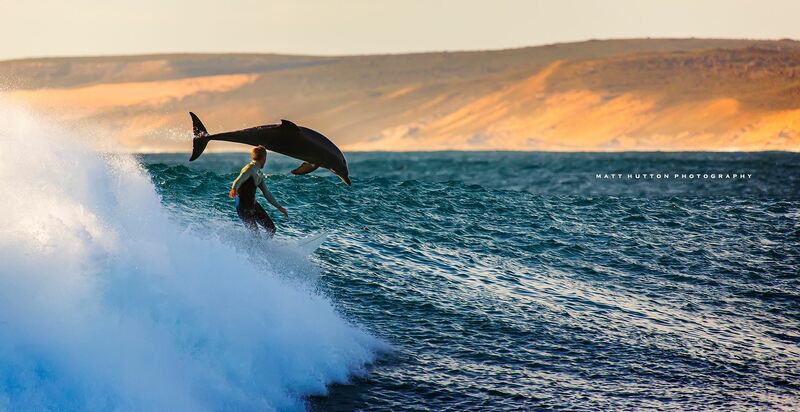 Surfing with Dolphins at Jacques Point, Kalbarri in Western Australia. Photography by Matt Hutton . Where the rugged outback meets the Indian Ocean, some of Australia’s most powerful left-handers are here in Kalbarri, a 6 hour drive up north. Kalbarri is the ultimate ocean-side adventure playground, with powerful left-handers seen at Jakes Point. Kalbarri’s number one attraction, Red Bluff, has an Indonesian-style left reef with relative remoteness which gives it a mellow vibe despite its fame. Great for low key coastal camping, you can swim or surf from almost all of Kalbarri’s beaches where you’ll likely see humpback whales and their calves migrating between June and November. Or, join a canyoning and abseiling tour for something radically different. 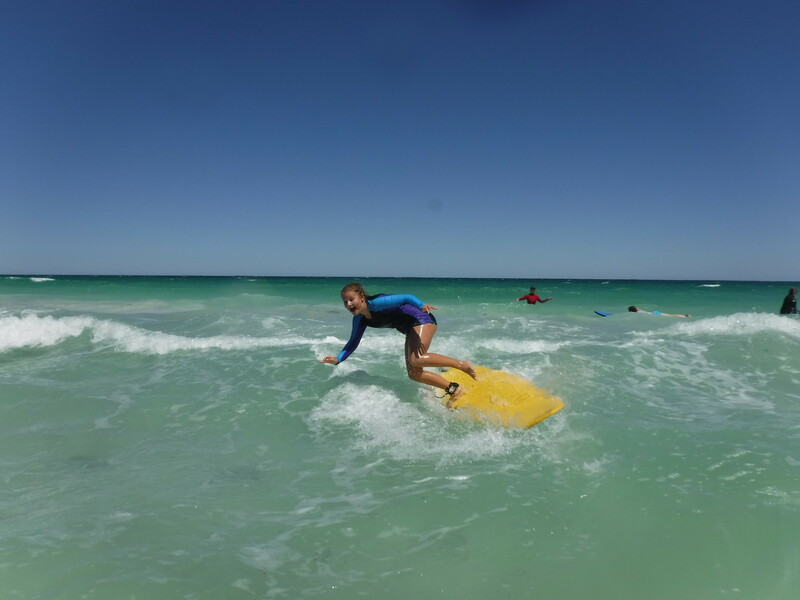 Lancelin’s Surfing Long Weekend for Years 8 and 9’s Learn to Surf Programme. Wyvern to go to yahoo. Love your watersports and testing your skills in world-class wave and wind conditions? You’ll be delighted to know just an hour and a half drive out of Perth is a good challenge and decent surf in Lancelin. It’s a tiny fishing town that packs a punch, and is the host of Australia’s biggest windsurfing event every summer. For the rest of the year, check out its protected bay waters, outer reefs and islands. With 14 shipwreckles along the coast, many scuba divers head to the region. Back to surfing though – Back Beach is a good spot for body-boarding and surfing. 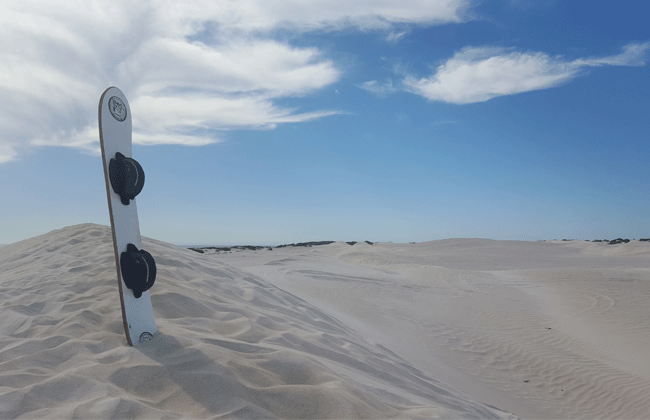 While you’re in Lancelin, hire a sandboard and go “sand surfing” at the Lancelin Sand Dunes. I did this with a group of mates and it was awesome! You can read about that in my other blog, “Sand Boarding & 4WD Advenutres at Lancelin Sand Dunes“. Surfing Mandurah’s Avalon Point.Watch Full Video. Mandurah is a local dream destination just 50 minutes south of Perth. 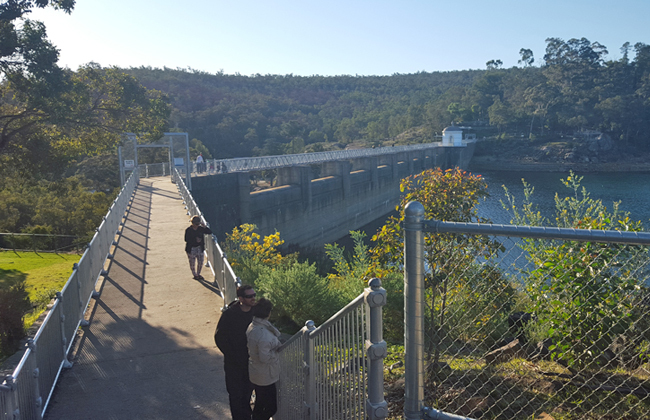 Some of Australia’s most spectacular waterways including the Peel-Harvey estuary is here, which is twice the size of Sydney Harbour. 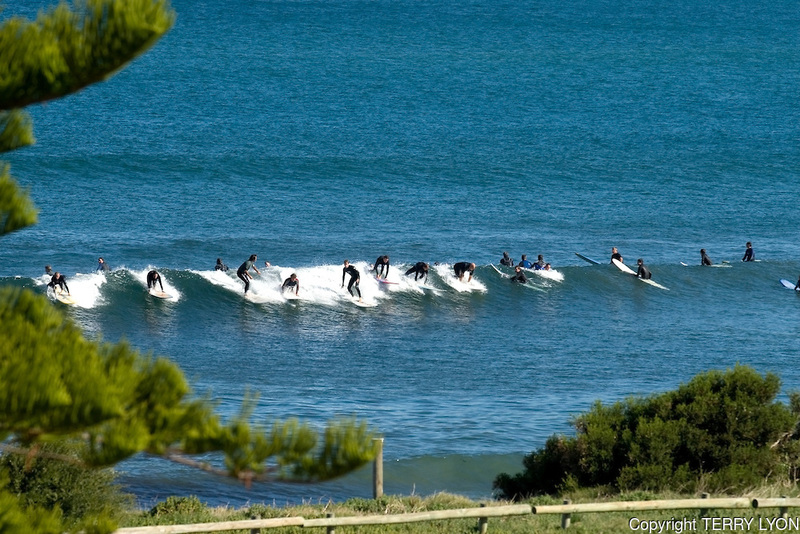 For surf on Mandurah’s Peel Coast, check out The Pyramids, Tims Thicket, Avalon Point and Falcon Bay. 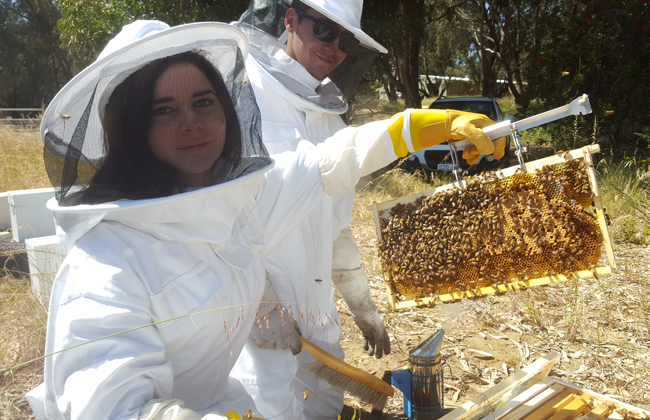 Between the vibrant coastal city of Mandurah and the pristine islands are reefs of Rockingham’s Shoalwater Islands Marine Park. 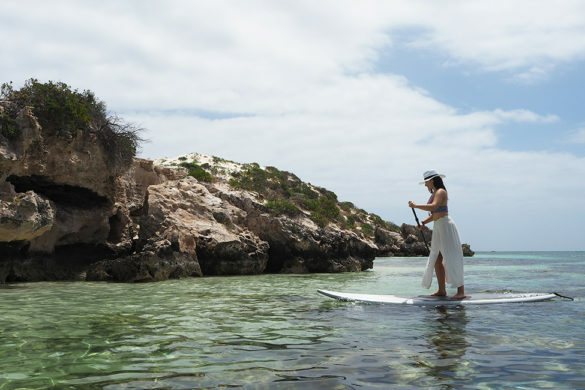 Rockingham offers a wide range of water activities including windsurfing and kite surfing opportunities, with Secret Harbour, Palm Beach and Safety Bay being popular spots for learning how to surf. Margs River is WA’s most famous surfing location. Margaret River to go to yahoo. Ranked alongside Hawaii, Margaret River surf is internationally renowned as a ‘big wave’ hot spot. Take your pick from more than 40 powerful reef breaks and fun beach breaks in the region, including the 10-foot wave powerhouse of Yallingup (Taj Burrow has a luxurious hillside residency there), North Point in Gracetown, The Box, Smiths Beach and the Three Bears. Or join the world’s elite at Surfer’s Point, home of the annual Margaret River Pro. Also, The wedge in Mandurah is a popular spot for bodyboarders with lots of ramps there to do your airs. 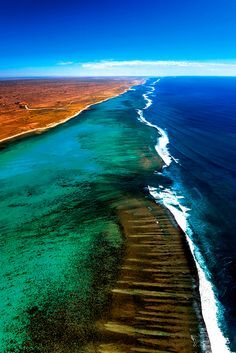 Aerial Ningaloo Reef Swell Lines. When it comes to Surfing in Western Australia, don’t look past Ningaloo.Migration Media Underwater Imaging. UNESCO World heritage listed Ningaloo Reef is home to the world’s largest fringing reef and can be reached by a short swim in many places. 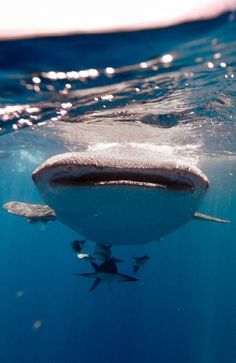 Getting to its large coral reef is easy, and its incredible marine biodiversity should be on your bucket list to check out – this is one of the few places in the world you can swim with gentle whale sharks. 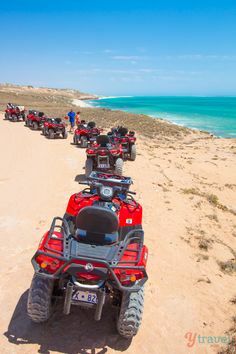 Head to Coral Bay or Exmouth to complete your Ningaloo adventure. Yallingup lies to the north of the Margaret River wine region, and only a three and a half hour’s drive south of Perth (or a ten minute drive from neighbouring Dunsborough). This is the home of renowned and spectacular surf breaks of Three Bears, Yallingup, Smith’s Beach and Injidup breaks. There’s also Farm/Boneyards which is a real good bay to surf, especially when it’s onshore. With top rated surf, stunning beaches, world-class wineries, ancient caves and awesome ocean sunsets, Yallingup is a great region to visit if you’re on a South West road trip adventure. 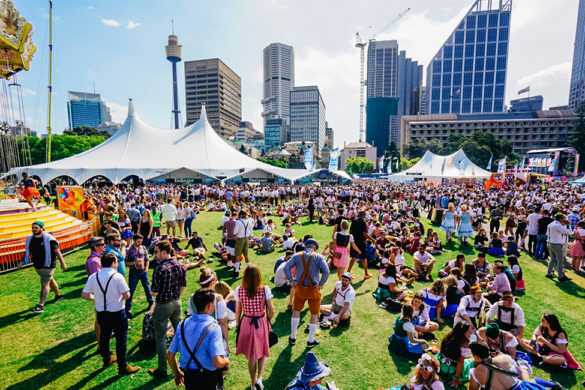 Perth has 19 glorious white-sandy beaches and some of these are the most popular surf spots in Western Australia which is greatly convenient – because it means you don’t have to travel far! Many of the beaches in Perth are patrolled by lifesavers and lifeguards, but to be sure, check Surf Life Saving of WA’s website for details. 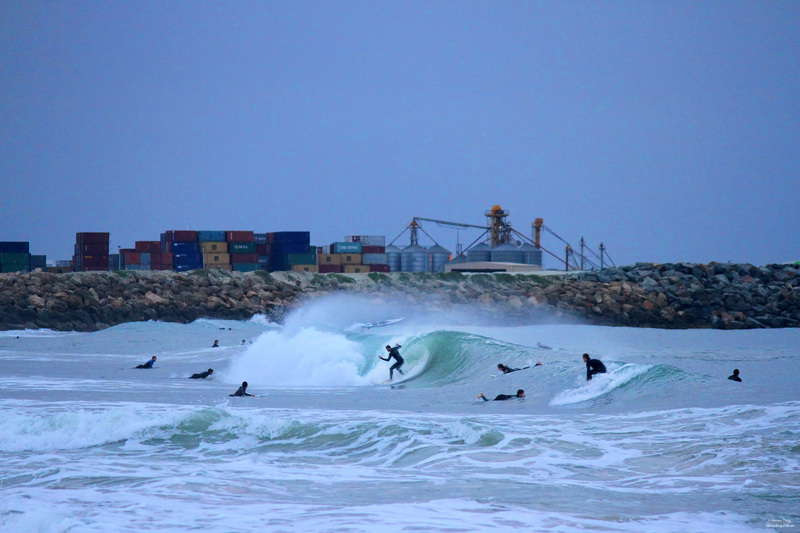 City Beach in Perth is a great little spot to go night surfing, with its small swell but fun peaky waves. The City Beach Groyne on the West Coast is quite an exposed beach, although in summer it can tend to be flat. The best wind direction is from the east. The beach break offers both left and right hand waves, with good surf at all stages of the tide. It’s often crowded her, watch out for rips and sharks. 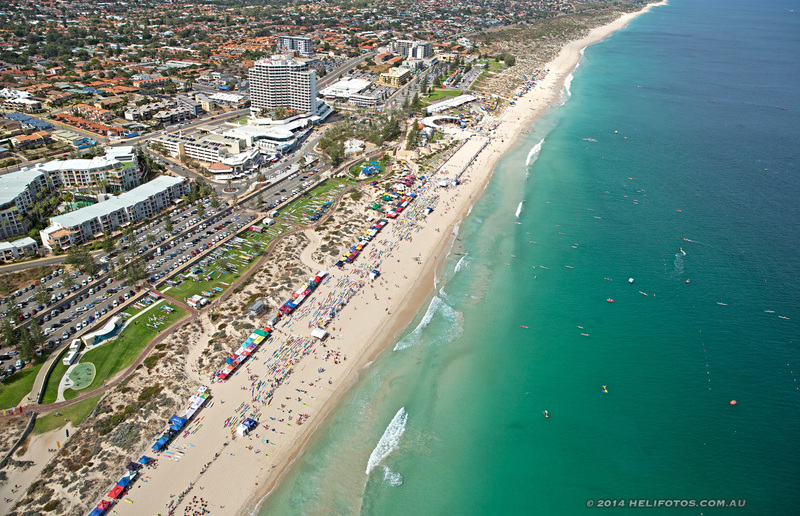 Cottesloe is Perth’s oldest and most popular beach, patrolled by two Surf Life Saving Clubs. It’s a 1.5km stretch of west-facing sand and bluffs, which extend north from Mudurup Rocks to the southern rocks of Swanbourne Beach. The southern corner of the Cottesloe Beach is more protected, and thus has lower waves and weak currents making it popular for families with children. Fremantle’s excellent seaside location makes it optimal for surfing, and there are a few beaches around Freo where you can catch yourself some waves, as well surfing schools that can teach you how to surf. The favourites are Leighton Beach (home of the Fremantle Surf Lifesaving Club), and Port Beach. Other top ones are the Lighthouse, Dingoes, Sandtrax and Coogee Beach. 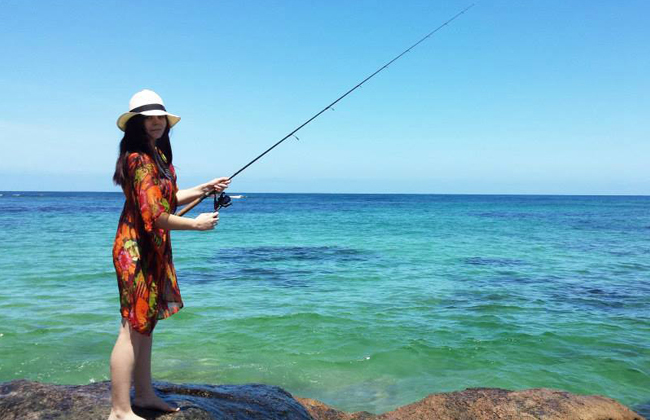 Scarborough is a coastal suburb in Perth, that boasts an amazing beach culture. At the moment the Scarborough foreshore is getting a much needed upgraded, so be patient with finding a park. Like its popular neighbour Trigg Beach, ‘Scarbs’ also shows off higher waves which break more heavily on the bar, creating killer rips here. The Scarboro Surf Life Saving Club patrols this often crowded beach, so be safe and stay within the flags if you can. Hat Tip: The car park at the end of Brighton Road is a popular spot to check for surf. Perth’s gnarliest waves are at Trigg, a popular coastal suburb north of the river. In summer, shifting sand banks over rocky ledges (between the Blue Hole and Trigg Point) create powerful, long continuous waves for locals. 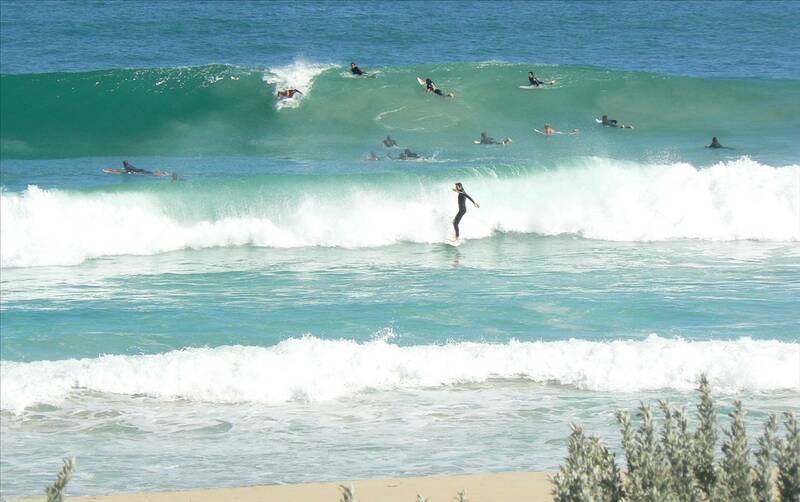 Trigg Beach is also popular for board riding and body boarders, as well as swimmers and there’s also a snorkelling beach nearby called Mettams Pool. Dreaming of taking your surf board and going on an island getaway? Well, you don’t really have to leave Western Australia to catch a mini holiday break. Western Australia islands are made up of several large groups of small islands, which line the coastline. Only a few are accessible for tourists however, but if you have your own boat, it certainly makes everything alot easier. Surf charters can be arranged to many of the locations below through companies out of both Coray Bay and Exmouth. Passengers can choose from a number of options regarding surf spots depending on the number of days chartered. For more information and bookings, please contact the staff at the Exmouth Visitor Centre? Rottnest Island is Perth’s official Island playground, just 16km off the coast mainland. 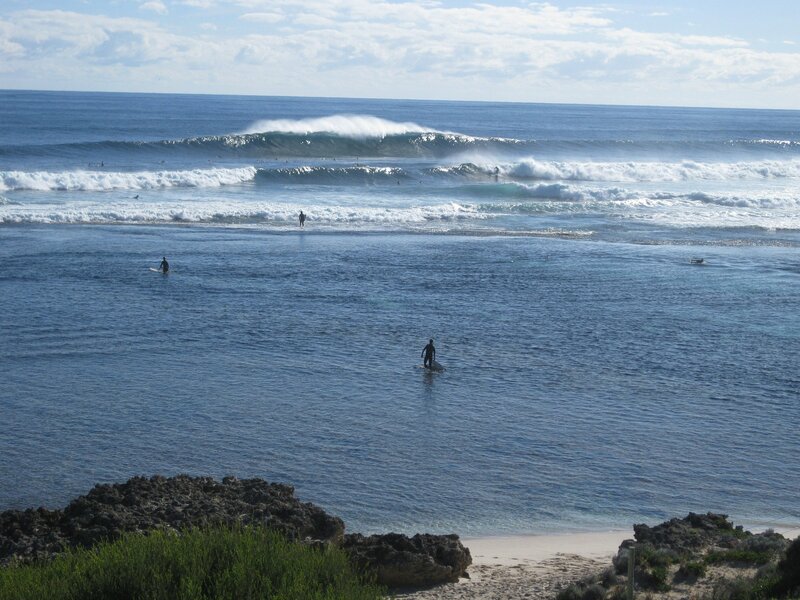 Excellent surf spots on ‘Rotto’, include the famous Strickland Bay, which is ranked in the top 50 breaks in the world. Rottnest also has various reef breaks on both sides of the island including Radar Reef, Cathedral Rocks and Chicken Reef. Oh and also – the waves off Rottnest are often two to three feet larger than those at Perth beaches – so yeah, Rottnest Island is pretty much a surfers island paradise with cute Kangaroo-rat like animals living there called Quokkas! 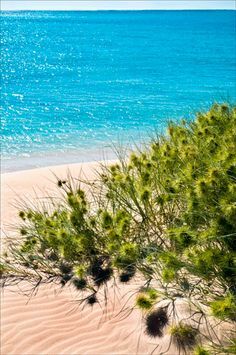 Located in the Ningaloo Archipelago off Exmouth, the North and South Muiron Islands are surrounded by reefs that offer a variety of breaks, making these islands very popular for snorkelling, swimming, surfing or fishing. You’ll be rewarded with tropical vibes here, with the white sandy beaches and warm tropical waters with teem with marine life. Murion Islands is only a short boat ride from Exmouth off the tip of the North West Cape. As a scuba diver myself (and terrible surfer), I embrace the water and encourage you to do to the same this Perth summer, even if it’s just for a splash at the beach. Worried about sharks? Invest in a shark shield, or quite simply put, just stay out of the water. Always make sure to do your research beforehand with whichever watersport you want to try. Be smart and safe – invest in training and theory classes beforehand and know what the requirements are and know what rules apply. For more tips on surfing Australia’s west coast, check out Surf Life Saving of Western Australia’s website, the State’s Top 10 Surfing Spots or visit the Surfing WA website – where you can also find information about learning to surf. Did I miss any good surfing spots in WA? Comment below your favourite spots and I’ll get them added onto the list! ?? P.S. Thank you to my surfer/body boarder friend, Kieran, for helping with this article. 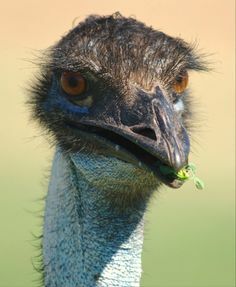 You’re a true Aussie legend, mate! Where is a place called The Right. I saw it on ‘The Big Wave Project’?